IBC containers for large-scale production fit your needs for high quality oil to be used as an ingredient in pet food production. Linseedoil is oil gained from flax. The raw oil has no additives added. Linseed oil has a high content of Omega-3-fatty acids and is not only delicious but also brings some positive health effects. It supports the cholesterol level and strengthens the immune system. It helps you in case of depression, hyper activity and during menopause. Furthermore, it is good for your skin and for animals it helps the fur to shine. Even the gut likes linseed oil because of its mucilage. Linseed oil can also be used to heal hoarseness and cough. Linseed oil comes from the ripe fruit off lax plants. To get the oil, the seed is pressed either warm or cold. It’s better to aim for a cold pressing, because it saves the healthy ingredients. 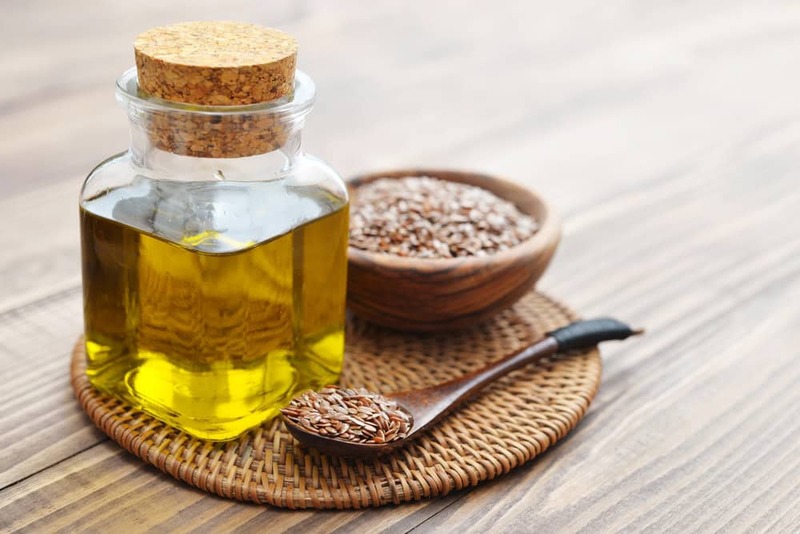 Because of its high value of Omega-3-fatty acids, linseed oil oxidizes very quickly and its shelf life without antioxidant is only two months. After that time, it will get rancid and bitter. So the shelf life is rather short. But you can store linseed oil in the fridge at minus 20 degrees and it will not get solid. The biggest part of salmon oil which nowadays is used in the pet food industry comes from aquacultures. Salmon needs and likes cold water and so the countries which are able to produce it, are quite rare. Salmon breeding countries are Norway, Scotland, Ireland and Canada. The water there is cold enough to suit the salmons needs. The salmon is a predator and eats other fish. In the beginning of aquacultures, salmon was fed with other fish. This caused a high level of Omega-3-fatty acids in the salmon. This came from the algae which were consumed by the forage fish. Today, the salmon is mainly fed by plant feed. This leads to a decrease of the Omega-3-fatty acids in the salmon and contradicts the natural needs of the salmon fish. Salmon oil is highly oxidative. This is a typical character of all polyunsaturated fats. For this reason, normally an antioxidant is added to the oil. This can´t stop the oxidation completely, but delay it a bit. What kind of antioxidant is used depends on what you are going to do with the oil and how you store it. But the antioxidants have limits, too. We would suggest not storing salmon oil longer than 12 months, even with antioxidant. You can prolong the shelf life by storing the oil chilled and dark. Omega-3-fatty acids are essential. You have to eat them with your food. This is the reason why salmon oil is a part of pet food. It has several healthy and positive effects. It helps to keep the blood vessels flexible, decreases the blood pressure, increases the blood flow, makes the fur shine and also has a positive effect on fertility. 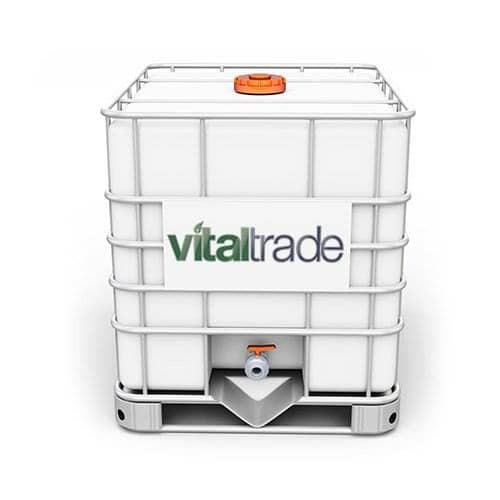 Vital-Trade-Partners sells salmon oil from Norwegian aquacultures. It´s of high quality and fresh! It is natural, not refined, not heated, not bleached and not deodorized. It contains the natural stearin. It is not allowed to use antibiotics in aquacultures for more than 20 year in Norway. They keep very strict to these rules. The salmons are bred extensive. 5% fish and 95% water. This keeps the fish healthy and lively. Our suppliers are GMP+-certified companies. The oil is checked regularly from Eurofins and they keep an eye on all values. The water in Norway is clean and after the harvest of all salmons, the cage stays empty for one year, so that the ground can recover. Not every Omega-3-fatty acid is essential. Some of them are not healthy if they stand alone. Only the interaction of all components makes the oil valuable. A normal apple contains more than 200 different ingredients which make it healthy. Take out one or two and the balance is destroyed. It is the same with salmon oil. Only the natural composition makes it a healthy stuff. The MUFA monounsaturated fatty acids and the PUFAS are polyunsaturated acids. This oil contains normally 3,8 g EPA and 4,7 g DHA per 100g of oil. Oils which shows 18% EPA and 12% DHA are no pure salmon oils but blends. Natural salmon oil does not have such values for these two components. The salmon oil we trade is form Norwegian aquacultures only. All suppliers are GMP+-certified and stick to the law. You will get a healthy, not treated, pure natural product which is the basis of many healthy recipes for pet food. Normally, the oil is not winterized. If you wish to buy winterized oil, please do not hesitate to ask. You can always get a free sample.